Variety is reporting that the only DLC that will be released for the game will be the Ardyn DLC. This will chronicle Ardyn’s ascension to becoming the chosen one and his descent into turning into the main villain of the game. Originally, his DLC would have been followed by stories also diving into the female mercenary and fan-favorite, Aranea, who popped up infrequently throughout the story both as a foil and as a friend for Noctis and his buddies. 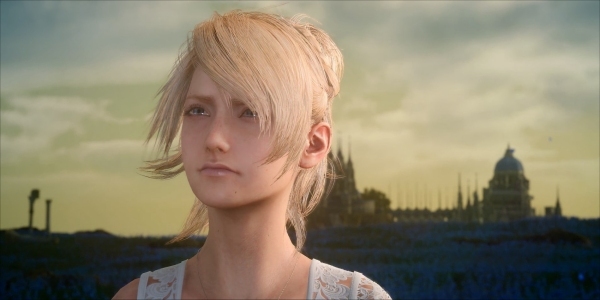 There was going to be another DLC that chronicled the very burdensome journey of Lady Lunafreya, the deuteragonist of the game and the supposed love of Noctis’ life. And, the final DLC was going to feature Noctis, once more, in an alternate tale of what would have happened in the final showdown at the end. It’s not really surprising that Tabata would choose to step away given that Final Fantasy XV is already two years old, and working on more of the DLC heading into 2019 would mean that he would be putting in three years of extra development, in addition to the years he spent working on the game with the team to get it shipped after multiple false starts. Keep in mind that the game was revamped several times following the original announcement back in 2006 when it was known as Versus XIII. That’s a lot of time spent working on a single franchise before and after the game ships. We’ve seen many top-tier developers step away from a game to pursue other interests, after spending up to a decade working on one franchise. Cliffy B. did the same thing with Gears of War, taking all of his money and starting Boss Key Productions in collaboration with Nexon to make Lawbreakers and Radical Heights. Now, this doesn’t mean that Square is giving up on Final Fantasy XV, it just means that the content leadership under Tabata will be no more. The company already has plans on re-releasing the Comrades content as a standalone multiplayer experience on December 12th for the PS4 and Xbox One as Final Fantasy XV Multiplayer: Comrades, and will also update the PC version of the game with the new multiplayer content to keep the version parity in check. However, with Hajime Tabata out of Square Enix, it means that the remaining stories involving Luna, Noctis, and Aranea will go untold… for now.